If a graduating student still depends on a devotional to grow spiritually, then we've all failed. OnTrack is here to set people free from dependence on devotionals, and to activate them for sustained spiritual growth. Need help getting started? Grab a free resource here. OnTrack Devotions is a daily devotional designed to build the skill and discipline of effective Bible study for students and adults. 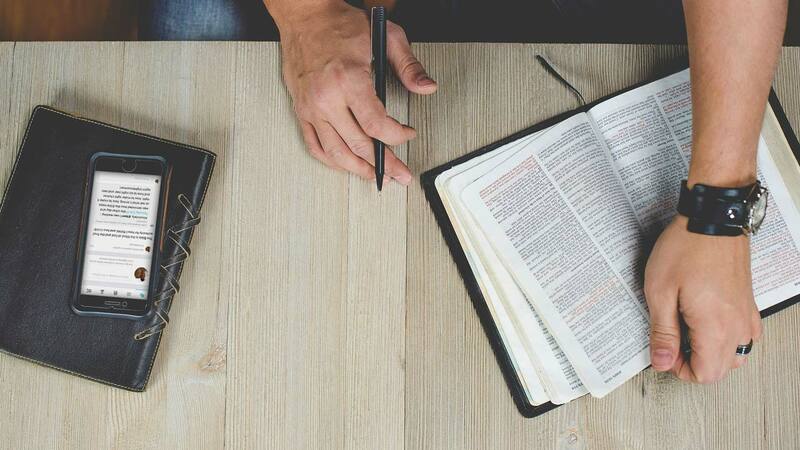 Its unique approach models inductive Bible study methods and adds value for small group accountability through monthly commitments. OTD walks the user through a process of discovery, unlocking the Word by training them through repetition and modeling, how to ask good questions. The Word becomes a real conversation with God. OTD is designed to build the skill and discipline of effective daily Bible study. Each month includes both prayer list and commitment pages designed to add context to personal Bible study and to facilitate small group accountability. OnTrack focuses on skill development, engaging 4 Levels of user skill in one tool. It’s relevant because it helps the user connect the Word to their own daily life and circumstances in a powerful way. There will be several instances from year-to-year where the reading schedule appears to cover the same content. While we do cover several of the same New Testament books each year, the content of each issue within any of 36 consecutive months is unique to that issue. For instance, users will experience three unique issues that cover the book of Matthew within the span of 36 months. Fill it out. Send it. We'll email a download link for UnPack It: Eight Steps for Effective Bible Study, a $19 value. Share it with your team. Talk through it. Build an effective strategy. Watch people grow!